Servicing your Mazda on a frequent and regularly basis reduces the chances of any mechanical problems occurring and keeps value of the vehicle high when you come to sell it.But why go to a main dealer when you can get great quality Mazda servicing in Bradford for much less money? At Drive in Service Centre in Shipley we’re real Mazda specialists. As such, you can stop paying the high prices charged by main dealers and use us instead, as we can provide the same excellent level of service, repairs and high quality parts as a main dealer, sometimes at up to 60% less money. Because we have relatively low overheads we don’t have to inflate our prices. Main dealers, on the other hand, do. Low overheads means low prices. Best of all, you’ll save yourself a load of money! Did you know that ‘Block Exemption’, a government ruling, allows you to pick your own garage to carry out any servicing to your Mazda without invalidating the manufacturer’s warranty – at all? 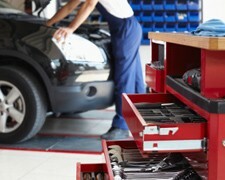 So when your Mazda needs servicing or repairs, try us. Once you’ve discovered our prices we hope you’ll realise that there’s nowhere better in Bradford or Shipley to have your Mazda serviced. Pick up the phone and call us today on Bradford 01274 794991.